In the last decades, women's role in the workforce has dramatically changed, though gender inequality persists and for women, gender identity still prevails over work identity. 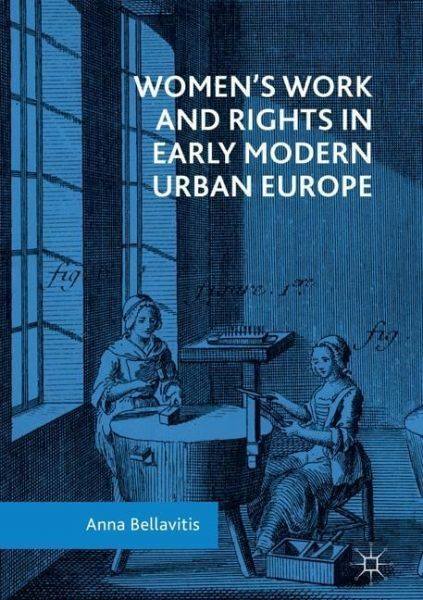 It is important not to forget or diminish the historical role of women in the labour market though and this book proposes a critical overview of the most recent historical research on women's roles in economic urban activities. 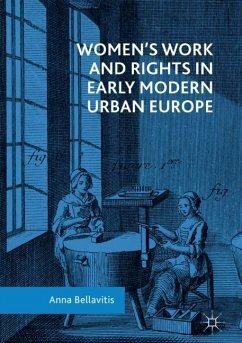 Covering a wide area of early modern Europe, from Portugal to Poland and from Scandinavia to the Mediterranean, Bellavitis presents an overview of the economic rights of women - property, inheritance, management of their wealth, access to the guilds, access to education - and assesses the evolution of female work in different urban contexts. Part I: Women, Work, Rights and the City. Chapter 1: Women have Always Worked. Chapter 2: The Gender of Work. Chapter 3: Working Daughters, Wives, Mothers, Sisters, Widows. Chapter 4: The "Decline Thesis" and the Guilds: An "Accordion Movement"?. Chapter 5: From Globalisation to Industrialisation. Chapter 6: Agency and Capabilities: North vs South?. Chapter 7: The Right to Learn, the Right to Teach: Intellectual and Artistic Work as a Profession. Part II: Women's Jobs. Chapter 8: Servants and Slaves. Chapter 9: Caring and Feeding. Chapter 10: Midwives. Chapter 11: Bodies as Resources. Part III: Workshops and Markets. Chapter 12: Learning at Home and on the Shop Floor. Chapter 13: Women, Families and Guilds: the French Exception. Chapter 14: Silk and Skill. Chapter 15: Printed Tracks. Chapter 16: In the Marketplace. Chapter 17: International Traders. Part IV: Conclusions. Chapter 18: Conclusions and Suggestions for Further Research.